According to the Evening Standard among others, British Airways is facing a class action claim from employees. The reason for the claim is known as Aerotoxicity. This is reported as a condition that results from regular exposure to toxins coming from the aircraft’s engines. At the centre of the legal case is a pilot called Richard Westgate. Mr Westgate was a pilot for British Airways. In 2012 he passed away in a Dutch hotel room after an overdose of sleeping pills. His family are suing for £500,000 in damages. Aerotoxicity is a process by where regular flyers are gradually exposed to toxins from an aircraft’s engines over a long period of time. It is so called as it specifically relates to aircraft, not occurring elsewhere. It is alleged that the toxins come from engine oil and leaking hydraulic fluid. There is currently no clear ruling on the long term effects of aerotoxicity according to the Civil Aviation Authority. 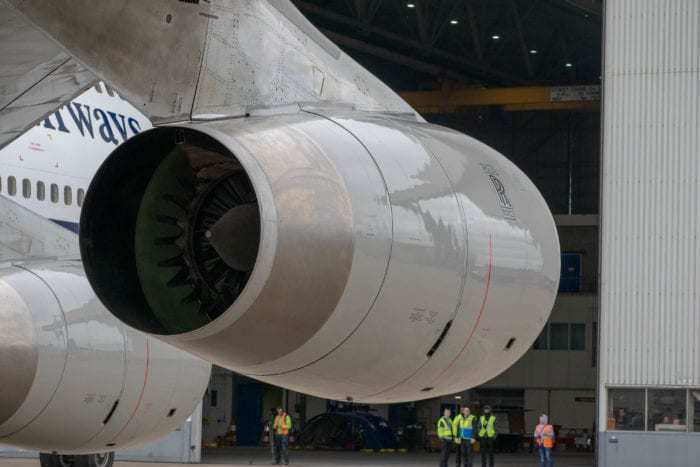 The toxins from the aircraft’s engines can supposedly enter the cabin through the bleed air system. The bleed air system is responsible for keeping the cabin of the aircraft pressurised. This is achieved by feeding the compressed air from the engine into the cabin. When this air becomes contaminated, it is known as a fume event. The current case involves the 43-year-old pilot, Mr Westgate. Mr Westgate’s family alleges that the aerotoxicity is to blame for the pilot’s sleeping pill overdose. Additionally, 93 other cabin crew members are seeking compensation for alleged aerotoxicity. If the case succeeds, it could set a precedent for more cases of the same nature across the industry. While British Airways was unable to comment to Simple Flying on the matter. 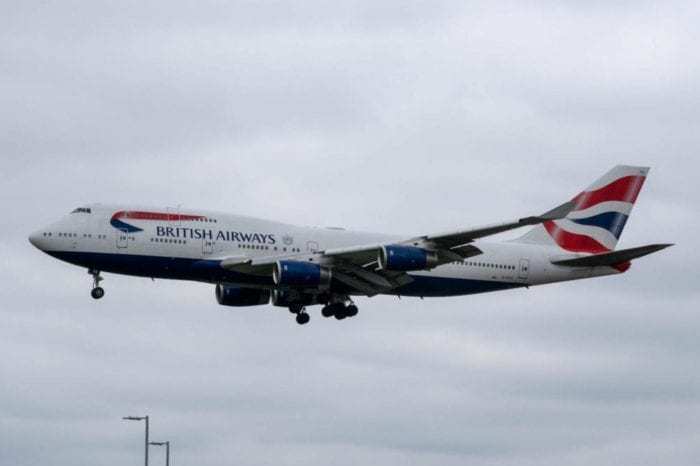 However, David Platt, who is representing British Airways said that the airline denies responsibility according to the Evening Standard. What is your opinion on aerotoxicity? Let us know in the comments down below! The reason for those toxic fumes to be toxic is the content of the fumes. The engine oil contains neuro-toxic chemical elements. There have been events where flight attendants, passengers became completely delusional. It also happened that the short term effect resulted in both pilots not being fit to land, and needing the automatic system to do so in order to remain on the safe side. There are very clear cases where members of the crew breathed one time too much the fumes and have life long issues then. And as it is attacking directly the nervous system, it is not impossible to demonstrate that the gas is resulting in the degradation of it. 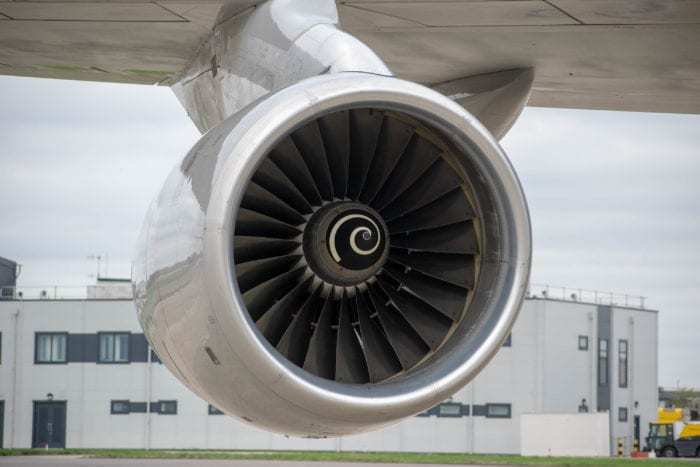 Why is Boeing moving from the engine air pressurization system to the new Boeing system which actually manufactured the first jet aircraft with such a system (B787). According to the number of crew members that suffer from it, it should be taken seriously. The composition of the air in altitude and the lower protection level to the cosmic flux can’t really result today in relevant engineering solutions. However, the system going through the engine which contains neurotoxic is problematic, and can be solved. In fact, it’s much more complex. We know that vehicles emit tiny particles that are especially harmful to the lungs. Regarding industrial complexes, it depends what they are doing. In case of a coal power plant, it is highly similar to cars with lungs being the main issue. There are also all the deceases related to heavy metals and chemicals that are typical of industrial areas. In airplane, the neuro-toxicity is the real problem. Cars cannot have any neuro-toxic element in their fuel I think, because we breathe it too often for it to be acceptable. So don’t minimize it, those people really suffer from it. Some have lost everything in their life after the “one time too much”… And the worse is seeing airlines like easyjet who do 7 flights after a major fume event. After a very short check, nothing can be found. They continue to operate it. Next flight, a new event, new short checkup. And this during 3 days before deciding to go to the heavy maintenance facilities to check to full system. Do you think that it is the right way to keep crews safe? The point is the concentration… When the air comes from the place where there is a toxic possibility, there is a risk which is too important. Aircraft manufacturers should have worked on it for a while, and airlines should have pressured them for changes ! You don’t seem to realize the difference between a closed environment and an open one. If there is an oil leak and you’re in the middle of the ocean, you will breathe the neurotoxin for a very long time. You need to differentiate things that have consequences on the very long term, and things that have consequences NOW when it happens. Delusional people in an aircraft! How safe is that? Same goes with passengers. What is the percentage of people that consider toxic fumes as a risk? None. 95% of the passengers would be shocked if you told them where the breathing air is coming from ! Here it is a purely economical decision, easier to use an existing technology. How comes that you accept this so easily? We are not talking about complex topics such as “there is no clean energy”, where you need to choose the least problematic. And in that specific case, engineering is easy, it is feasible to have solutions that don’t require to go through the engine. It is less than one million per aircraft for such a system… Come on, that’s ridiculous. Aerotoxicity does not occur with recent planes ,does it ? After how many years do the fumes start to poison cabins ?Basically some pilots want airlines to operate fairly recent planes only.Good luck with that. The only aircraft which is certain to not have any of those events is the B787, because the air doesn’t come from the engine. There are new filters I believe now that are supposed to avoid it… I don’t know what the status is. Caroline, here’s a Wikipedia link on bleed air, fume events, etc. Notice the subsection discussing the lack of any conclusive evidence for the existence of aerotoxicity syndrome. The link also discusses the system changes needed in a bleedless aircraft design. How can you doubt it? I will just say one thing… On such a topic, even if the evidence is not clear, you need to take the cautious approach. You don’t want to create the next asbestos case right? Some insurers and reinsurers already exclude coverage for toxic fume events. Did you know that? (I work in this industry)… Why do you think that they are doing so? Because there is enough scientific elements to shift to the safe side. Insurance covers are a good indicator of cases where the authorities are too slow to react (lobbying, power of the money). Today, some of the main insurers left the investments in the fossil fuels because in the future, the climate change will be expensive for them. Do you really put those on the same levels? World health organization is discussing it as classifying it as an occupational decease or not… Are we really in the same level as aliens? I’m a very scientific person, I’m an engineer. In my field, security and precautions is the basic approach. Sure, when building the first jet, probably they didn’t know that risk, and that is understandable… But today, there are serious doubts about the fact that aircrafts are fully safe in that regard. – Why do aircraft do emergency landings when there are toxic fumes events? Flight attendants felt nauseous. Again not scientific enough. Flight NK517, 28 of January 2018… After an abnormal smell onboard, the air becomes “unbreathable”. Ok not very factual yet. However, the captain went to flight level 10’000 ft and depressurized the cabin, and the air quality quickly improved. Why all the crew went to the hospital if this didn’t happen and this wasn’t dangerous? Why did they have abnormal CO levels, close to “near lethal values”? – Why do aircrafts go through extensive checking, changing some parts and so on after such an event if it isn’t dangerous? – Based on empirical “approach” regarding the health, what is not good for the body once is most likely worse if you face it several times. And if the reaction is collapsing, or not being fit to land, there is something that affects the brain obviously. Asbestos wasn’t dangerous for a long time according to “science”… And by science, it’s lobbyist paying scientists to go in their sense… Sugar, cigarettes are also in the same category. May I ask a question, are you American? Because American have this very high value of “freedom”… Freedom should be above everything. The freedom of entrepreneurship makes some people want as few regulations as possible. Some want to get rid of the FDA because of that entrepreneurship freedom. I’m sorry but I don’t understand that. The limit of your freedom is when your behavior or whatever coming from you becomes dangerous for others. FDA is preventing that. Would you feel ok to be the first one trying a medication, before any kind of testing ? Here, hard facts: Carbon Monoxide is lethal (suicide methods as well). There are neurotoxins in the oil of the engines. There are traces of those chemicals in almost every single aircraft. Both are dangerous, and we don’t know how the body can be affected by life long regular exposure to it. But we know that short term, there are consequences that are dangerous for the crew, the pilots and the passenger. Next time, let’s take the air for your car engine right before the combustion chamber, and let’s seal your car and let’s see if you feel comfortable or if you’d prefer an alternative that would ensure that such event can’t happen…..